Pet lovers everywhere would likely agree: Any innocent creature who’s endured difficult circumstances deserves a beautiful life. Sadly, thousands of today’s shelter and rescue pets have experienced some pretty painful situations. 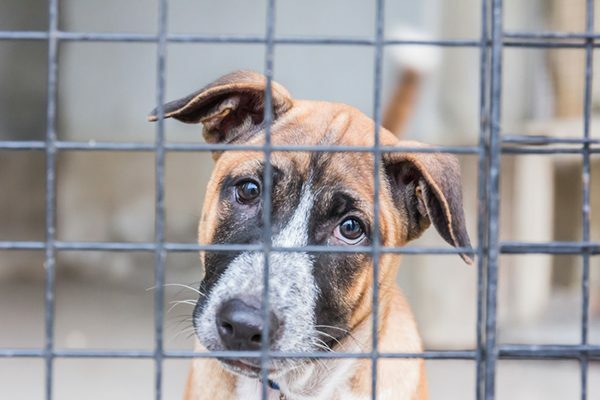 Severely neglected dogs or mistreated dogs may have suffered any number of abuses: constant physical restraint or confinement; lack of appropriate nourishment; endless environmental stressors; even outright physical punishment. Each individual canine may weather the storm a bit differently. Some, unfortunately, learn to fear and/or avoid social contact. Such dogs may become mistrustful, nervous or withdrawn. Some may growl or snap at the slightest provocation; urinate or defecate in terror; even retreat into the shadows. Potential adopters may not always realize what a given pet has endured — all they see is an adorable face and a tentatively wagging tail. This could be because that particular pooch has benefitted from specialized socialization training, or behavioral intervention. Sometimes, quite a bit takes place behind the scenes to give a deserving dog a second chance at a normal life. 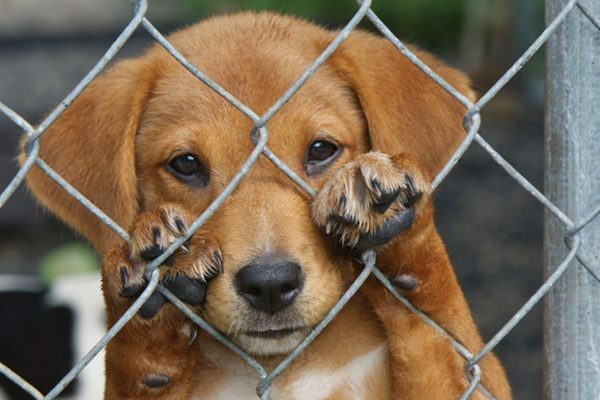 It takes a team of professionals to ensure that neglected dogs are ready to be adopted. Photography ©gaikphotos | Thinkstock. Melissa Crampton is canine manager at Dogs Deserve Better (DDB), a 501(c)(3) nonprofit organization that helps rehabilitate and socialize severely neglected dogs. Founded in 2002, DDB places special emphasis on those canines who have been persistently chained or penned – largely deprived of regular human companionship. Crampton explains that specially trained personnel work with most of these canines at DDB headquarters in Smithfield, Virginia. “Our current property was purchased in 2011,” notes Crampton. “It was once the home of Bad Newz Kennels, the dog fighting compound owned by Michael Vick.” DDB’s ongoing labor of love has essentially transformed a place of traumatic despair into the Good Newz Rehabilitation Center. Steve Frost, KPA CTP, is director of in-home training at A Sound Beginning. He also serves as animal enrichment and behavior manager for Anderson Animal Shelter in South Elgin, Illinois. Frost doesn’t exclusively focus on pets with a background of abuse, neglect or mistreatment. However, he holds multiple training certifications — and has done more than his share of work with such dogs. 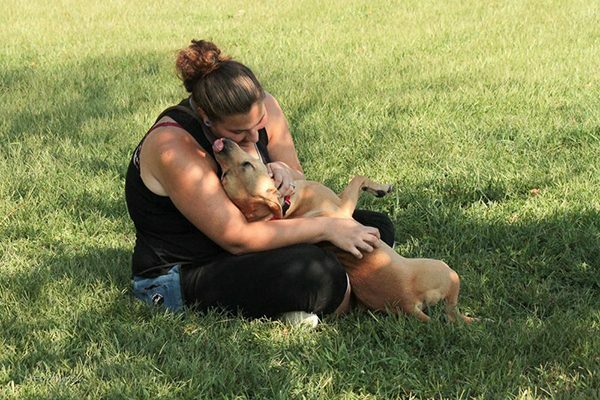 Cyndi of Dogs Deserve Better giving Joshua what he never had before: close contact and some love with humans. Joshua came from the Polk County, Georgia, cruelty case, where 105 dogs were seized off two different properties in the woods. All were secured with heavy 6-foot chains. Photography courtesy Melissa Crampton of Dogs Deserve Better, via Facebook.com/dogsdeservebetter. Both Crampton and Frost agree that pronounced neglect is a pervasive problem that can affect canine lives in countless ways. Frost explains that this can stem from persistent disregard for an animal’s emotions, and/or chronic exposure to overwhelming stressors during early development. Sadly, he notes, mistreatment in any form often renders the same result: an adult dog who struggles to co-exist in a home environment. On a positive note, some dogs have truly incredible turnarounds. Photography ©carlonico | Thinkstock. On the upside, however, both Crampton and Frost have helped to facilitate some fairly remarkable transformations. “Time and again at DDB, we’ve worked with dogs who have been chained with total disregard for their needs,” says Crampton. “Some literally panic when they first encounter any type of open space,” she says. This is one reason why the DDB facility is laid out like an actual house. 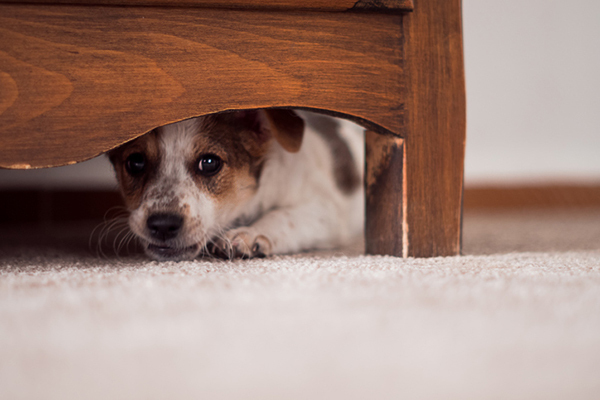 Highly anxious dogs often get paired with other canines to help build their confidence. Once they become sufficiently comfortable, Crampton says they’re allowed to go on their very first “Freedom Run” in the fenced open yard. She describes each dog’s unrestrained joy as something incredible to behold. One of Ponder’s first runs being off the chain. Ponder was another off-the-chain rescue from the Polk County, Georgia, cruelty case. Photography courtesy Melissa Crampton of Dogs Deserve Better, via Facebook.com/dogsdeservebetter. Crampton recalls Elvi, the lone survivor of a residence where 21 dead canines were found in cages amidst dog fighting paraphernalia. Elvi had not necessarily been involved in the fighting, but was nonetheless petrified of everything. Re-socialization initially involved giving Elvi her own separate room to decompress; then a secure open crate as her “safe area.” Volunteers spent weeks sitting quietly in Elvi’s presence, waiting for her to make the first move. “This little 35-pound girl would eventually come up, sniff your face, then mold herself perfectly into your lap,” recalls Crampton. As Elvi gradually grew more settled with daily human contact, her caregivers tried introducing another dog. Pittie mix Turbo had been kept on the end of a short chain day and night, for nearly five years. But Elvi’s increasing confidence began rubbing off on Turbo. He progressively “learned” to play in her presence; while Elvi emerged even further from her own shell. In cooperation with a caring foster family, Frost taught Kobe to be an active, willing participant in his own daily care. “Over time, we used positive reinforcement that gradually trained Kobe to rest his chin on our knee in preparation for his eye drops,” explains Frost. “Whenever Kobe decided to lift his chin, the training session stopped. We were reassuring him that if he felt uncomfortable, he didn’t need to resort to violence. He could simply get up and walk away.” The eventual result? Kobe’s foster mom was so impressed with his progress that she adopted him herself. Thinking of Adopting a Dog Who Previously Experienced Neglect or Cruelty? Great! But Keep This in Mind. 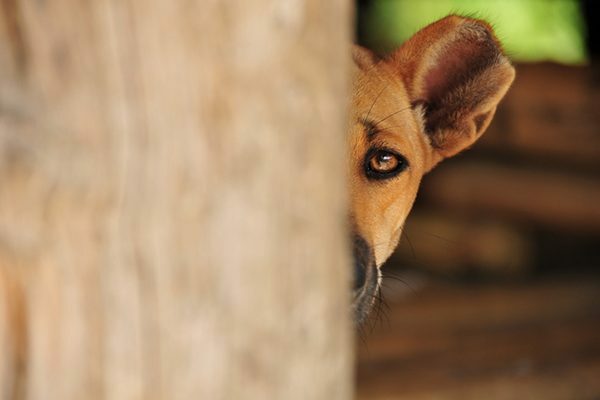 Here’s what you need to know about adopting a dog who previously experienced any sort of abuse. Photography ©AwaylGl | Thinkstock. Both Crampton and Frost also emphasize that structure and direction are key. 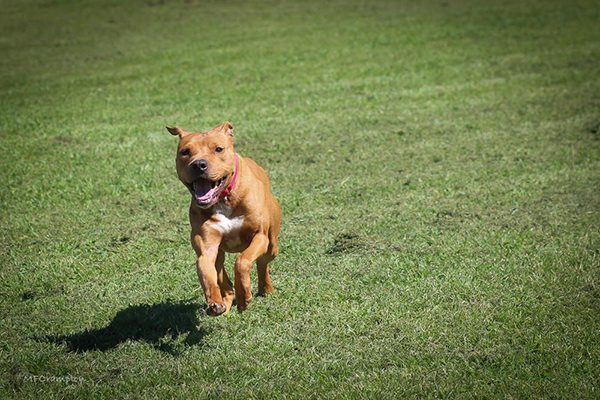 “It’s important, yet sometimes very hard, for adopters to understand that they should not overly coddle this type of canine,” Crampton explains. She notes that sympathetic humans will sometimes repeatedly indulge unwanted behaviors; unintentionally leading the dog to perceive himself as ruling the roost. Learning positive behavioral strategies from a skilled trainer can help your new pet understand his role from the outset.